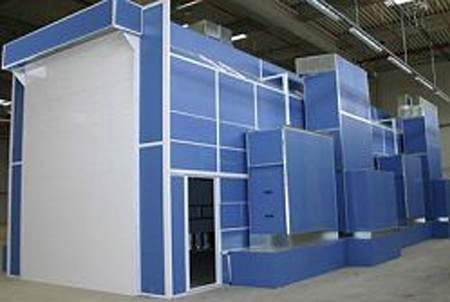 Step into a Nova Verta paint booth and you’ll see what makes us the industry leader in the production and distribution of downdraft paint booths, spray paint booths, mix rooms, and prep station products. 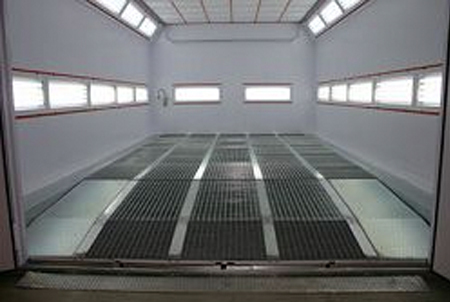 With over thirty years of experience, we’ve pioneered solutions to create the highest quality paint booth available. 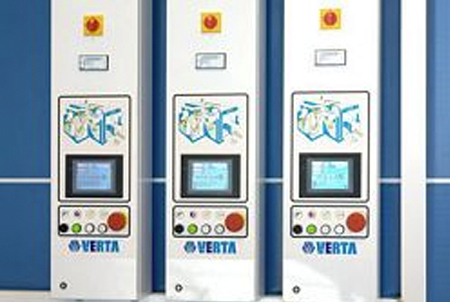 Since introducing and marketing Nova Verta in the UK and Ireland in 1984, Camco Equipment Limited has designed, supplied, installed and maintained NOVA VERTA Spray Refinishing Booths and associated equipment in a wide variety of spraying environments. These include training schools and colleges, research and development centres, Formula One racing car builders and, of course, a great number of general Accident Repair Centres. No two workshops are alike and it is Camco’s special expertise combined with the level of consultation that provides excellent solutions to individual needs, making it an important contribution to the development of your bodyshop programme. 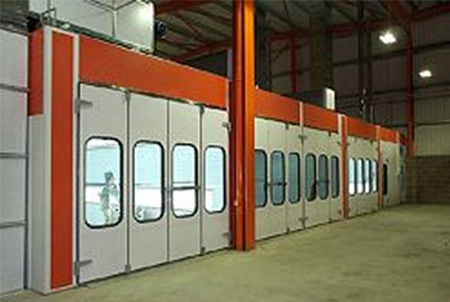 With almost limitless combinations, Camco Equipment Limited are able to satisfy any client needs from its impressive range of Internal and External Spray Booths, Mixing Rooms, Track and Trolley Loading Systems, Preparation Bays and Commercial Booths. 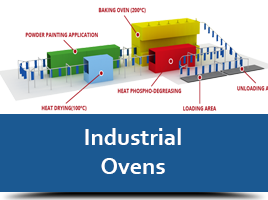 The combination of Italian flair for design and manufacture along with Camco Equipment’s own team of installation and maintenance engineers lead customers to regard the product and service as “unsurpassed”. We have a number of national on-call vehicles equipped with the very latest diagnostic and repair equipment and are capable of covering the UK and Ireland for after-sales support to all NOVA VERTA customers. Our engineers are GAS SAFE Contractors, registered and fully NOVA VERTA in-house trained. 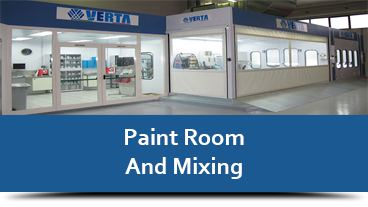 We only work on NOVA VERTA equipment and use all genuine NOVA VERTA parts which are kept available from stock so you can be assured of the very best service and maintenance support for your Spray Booths. 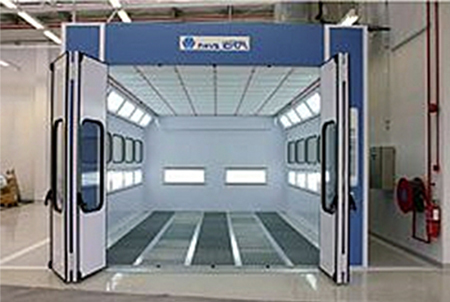 This Spray Booth was installed by us for a medium sized insurance approved accident repair centre. 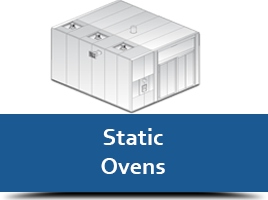 It features our latest generation of ‘Direct Fired and Self-Modulating Gas Burners’ for responsive temperature optimization and the lowest energy consumption. 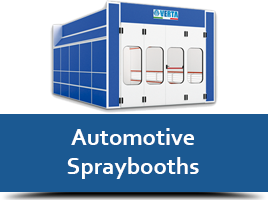 This Spray Booth complex has been sited at a large insurance owned vehicle repair centre capable of repairing up to 100 vehicles per week. The facia panels and detailing are colour matched in keeping with the Bodyshop’s profile. 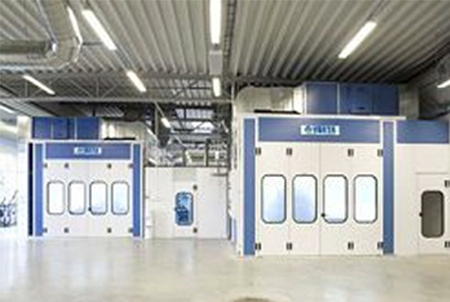 An installation shown for a major prestige car manufacturer’s PDI distribution and final inspection refinishing centre with the highest standards of finish and attention to detail. This large showcase Commercial Body Builders Centre was also completed by our team of engineers. 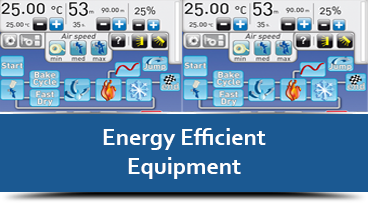 It features our latest technology in ‘Variable Frequency Drives’ preventing power surges on start up and providing automatic pressure control by adjusting the fan speed depending on the type of paint application. 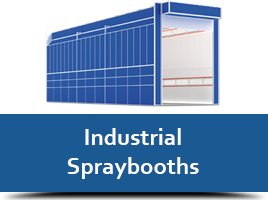 This provides the correct control of air-flow and velocity for the lowest possible energy use in this spray booth. This major franchised main dealer chose an internal ramp facility for ease of vehicular access, with a fully girded under floor extraction system for improved downdraft with no extra ground works or excavation required. 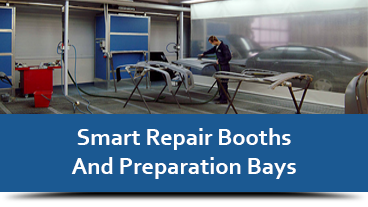 This large franchised main dealer and insurance approved accident repair centre has the latest fully automated control panels in it’s Spray Booths for the lowest energy consumption, ease of operation and scheduled filter changes. 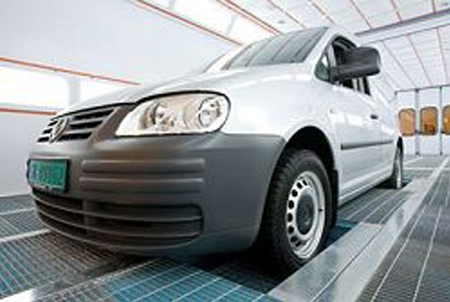 This independent and privately owned repair centre completed by our team of engineers, features the latest adaptive floor system to enable the vehicle to be positioned at optimum height for all paint application processes.